Bowie reminds us of a babe. Remind me of the babe." Get keen David Bowie('s crotch) and perfect puppeteering fans! It's the 30th anniversary of Jim Henson's classic, Labyrinth and you're invited to celebrate Hoggle-style at a special screening on Saturday 5th of November at New Farm Cinemas. That's right! The movie that made Jennifer Connelly famous for her role as whiny-mcwhine-face Sarah Williams will be on the big screen. Gather up your Charlie bears and 'I Love Ludo' signs and try to avoid the Bog of Eternal Stench as you make your way to Fortitude Valley for a 3.30pm start of this all-ages event. There'll be pre-showie Bowie music pumping, food and drink available, and a host of folks dressed up as the Goblin King, as well as Mr Bowie's many other incarnations as the movie screening will be followed by a Bowies Down Brunswick event. 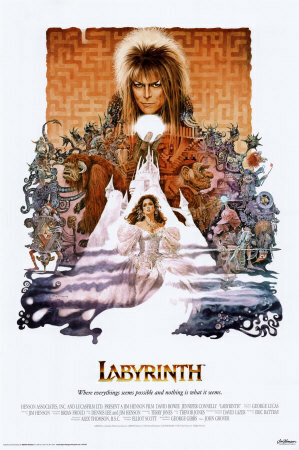 The movie poster for 1986 classic Labyrinth. 1) It is directed by Jim Henson, executive produced by George Lucas, and based on designs by Brian Froud. 2) David Bowie's music, David Bowie's (crotch hugging) costume, David Bowie's acting, David Bowie's swagger, David Bowie's epic wig... seriously... Bowie. 3) It's funny and cute and engaging and relatable and characters are complex and flawed and multi-dimensional. 5) Puppets produced by Jim Henson's Creature Shop play most of the major roles outside of Jareth the Goblin King (Bowie) and Sarah (Connelley) and they are so good! The story is quite excellent too. A bratty, ill tempered and selfish young lady wishes her younger brother would be taken away by the Goblin King and (spoiler alert) he does! She then has to journey through a Labyrinth, where she meets friendly and not so friendly creatures along the way as she tries to rescue her brother from the Goblin City. 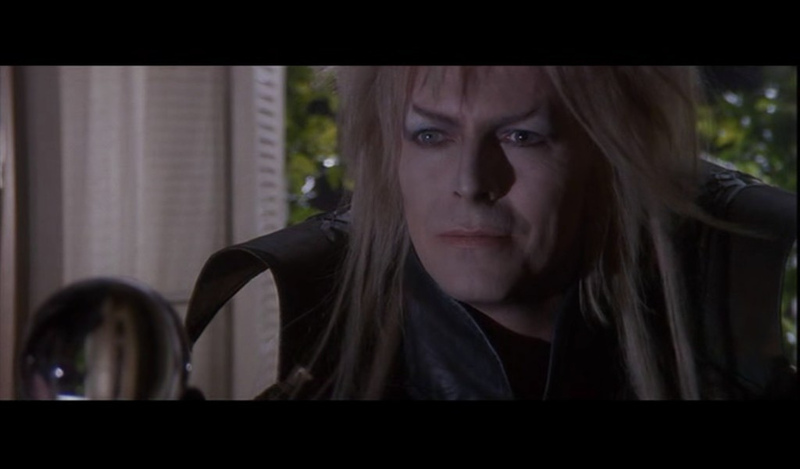 David Bowie as the Goblin King Jareth. Henson and Froud had previously collaborated on The Dark Crystal. Monty Python's Terry Jones wrote the first draft but other uncredited writers added to the script prior to completion. It was a flop when released, only grossing a portion of what had been spent making it, but since has grown into a cult classic. It was the last feature film directed by Henson, who passed away in 1990. The owl in the title sequence is the first attempt at photo realistic CGI in a movie. Prince, Mick Jagger, Sting and Micheal Jackson were all considered for the role of Jareth the Goblin King. 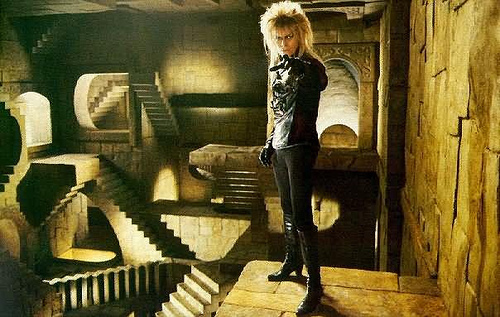 Labyrinth will screen from 4pm on the day and it is recommended you book in advance to avoid missing out. It's only $15 per person and the organisers are encouraging everyone to dress up in your Bowie inspired costumes too.